We walked the full length of the trail at Montaña de Oro. 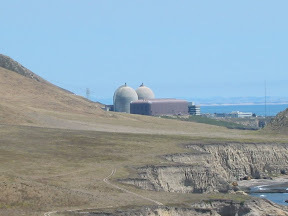 Along the way we took the obligatory pictures of the Diablo Canyon Power Plant. By the way – the last 8/10ths of a mile after these pictures is not nearly as nice a walk as the previous couple of miles.